Todays podcast I sat down and talked with producer sidepce. We talked about how he joined Internet Money, the online beat selling world, how he discovered Juice Wrld on twitter and a lot more. Sidepce and Nick Mira were responsible for producing most if not all of Juice Wrlds first hit songs on Soundcloud. Instagram - www.instagram.com/kylegarvanbeats/ Twitter - twitter.com/KyleGarvanBeats Youtube - www.youtube.com/kgarvantv ALSO make sure to subscribe to the podcast and leave me 5 Stars if you haven't yet! Let me know what you think! Thanks for the support. Aiming to put out another episode next Wednesday. I asked you guys to send me any questions you had via voice memo, and I got ALOT of great questions. Hope you enjoy! Follow me on instagram and twitter to sumbit your question next time I do this! Instagram - www.instagram.com/kylegarvanbeats/ Twitter - twitter.com/KyleGarvanBeats Youtube - www.youtube.com/kgarvantv ALSO make sure to subscribe to the podcast and leave me 5 Stars if you haven't yet! Let me know what you think! Thanks for the support. Aiming to put out another episode next Wednesday. Episode #28 of the podcast is with Sikky Beats. Sikky is a producer that first came on to my radar when he entered into one of my contests (which he won). After that he started uploading videos and has gained 13,000 subscribers since. I wanted to bring him on the podcast because his beats and his videos are really good... SO we were able to spend a lot of time about building a brand, building numbers, and the overall goal in life as a YouTube producer. Instagram - www.instagram.com/kylegarvanbeats/ Twitter - twitter.com/KyleGarvanBeats Youtube - www.youtube.com/kgarvantv ALSO make sure to subscribe to the podcast and leave me 5 Stars if you haven't yet! Let me know what you think! Thanks for the support. Aiming to put out another episode next Wednesday. Episode #27 of the podcast is a consultation I did with Beaty Money that we decided to record and upload as a podcast. I don't do a lot of consultations anymore but I decided to do this for the opportunity of recording it and letting you guys get something out of it as well. I hope you enjoy this! LOTS of gems in here! Instagram - www.instagram.com/kylegarvanbeats/ Twitter - twitter.com/KyleGarvanBeats Youtube - www.youtube.com/kgarvantv ALSO make sure to subscribe to the podcast and leave me 5 Stars if you haven't yet! Let me know what you think! Thanks for the support. Aiming to put out another episode next Wednesday. Episode #26 of the podcast is with Boyband. Formally known as Countach from Internet Money, Boyband is a new artist on the scene with high hopes of becoming a top charting artist. This is a great episode we talked about beats, selling beats, recording music, and the whole re-branding process he went through creating Boyband. I hope you guys enjoy this episode!!! Instagram - https://www.instagram.com/kylegarvanbeats/ Twitter - https://twitter.com/KyleGarvanBeats Youtube - https://www.youtube.com/kgarvantv ALSO make sure to subscribe to the podcast and leave me 5 Stars if you haven't yet! Let me know what you think! Thanks for the support. Aiming to put out another episode next Wednesday. Episode 25 of the podcast is with fitness youtuber turned artist Remington James. Remington has made his presence heard in the fitness niche on YouTube attaining over 300,000 subscribers. He is known for his "Meal Prep" videos, and has recently started focusing on releasing his own music. 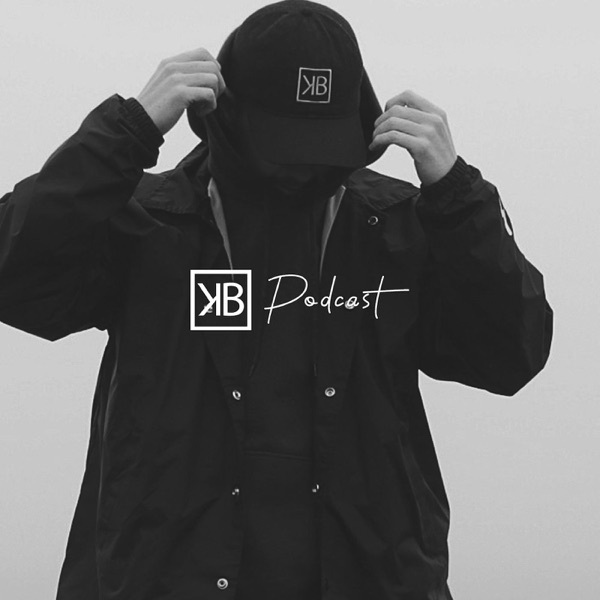 We had a great conversation about what it takes to be accepted as an artist, breaking out of the "Fitness" niche, how and where he finds his beats, and the processes he had to go through to figure out how to record and distribute his own music! Stay up to date with what I am doing! Follow me on... Instagram - www.instagram.com/kylegarvanbeats/ Twitter - twitter.com/KyleGarvanBeats Youtube - www.youtube.com/kgarvantv ALSO make sure to subscribe to the podcast and leave me 5 Stars if you haven't yet! Let me know what you think! Thanks for the support. Aiming to put out another episode next Wednesday. Episode #24 of the Kyle Beats Podcast with a subscriber of mine! I treated this podcast like a consultation but also kept it in the classic podcast form. I hope you enjoy! Stay up to date with what I am doing! Follow me on... Instagram - www.instagram.com/kylegarvanbeats/ Twitter - twitter.com/KyleGarvanBeats Youtube - www.youtube.com/kgarvantv ALSO make sure to subscribe to the podcast and leave me 5 Stars if you haven't yet! Let me know what you think! Thanks for the support. Aiming to put out another episode next Wednesday. Episode #23 of the Kyle Beats Podcast with Youtuber/Entrepreneur BigDawsTV. Big Daws is considered a "Prank" YouTuber but has had his hand in some musical ventures as well. He has gained over 5 Million subscribers since he started on YouTube! This was a really great episode I hope you enjoy! Stay up to date with what I am doing! Follow me on... Instagram - www.instagram.com/kylegarvanbeats/ Twitter - twitter.com/KyleGarvanBeats Youtube - www.youtube.com/kgarvantv ALSO make sure to subscribe to the podcast and leave me 5 Stars if you haven't yet! Let me know what you think! Thanks for the support. Aiming to put out another episode next Wednesday. Episode #22 of the Kyle Beats Podcast with Curtiss King! This was the longest episode so far of the podcast I hope you enjoy. Stay up to date with what I am doing! Follow me on... Instagram - www.instagram.com/kylegarvanbeats/ Twitter - twitter.com/KyleGarvanBeats Youtube - www.youtube.com/kgarvantv ALSO make sure to subscribe to the podcast and leave me 5 Stars if you haven't yet! Let me know what you think! Thanks for the support. Aiming to put out another episode next Wednesday. Episode #21 of the Kyle Beats Podcast. I asked you guys on Instagram to send me voice memo questions of anything you wanted answered and I was able to put it all in a podcast! I hope you enjoy! Stay up to date with what I am doing! Follow me on... Instagram - https://www.instagram.com/kylegarvanbeats/ Twitter - https://twitter.com/KyleGarvanBeats Youtube - https://www.youtube.com/kgarvantv ALSO make sure to leave me 5 Stars if you haven't yet and let me know what you think! Thanks for the support. Aiming to put out another episode next Wednesday. Episode #20 of the Kyle Beats Podcast is another Q&A that I did on Instagram! I answered as many questions as possible and I like the way this one came out! I how you learn something or get something out of this! Stay up to date with what I am doing! Follow me on... Instagram - www.instagram.com/kylegarvanbeats/ Twitter - twitter.com/KyleGarvanBeats Youtube - www.youtube.com/kgarvantv ALSO make sure to leave me 5 Stars if you haven't yet and let me know what you think! Thanks for the support. Aiming to put out another episode next Wednesday. Podcast with Trevor Daniel. Trevor was one of the first artists signed to Internet Money and has been killing it the past few months. His single "Falling" just hit 2 million plays on Spotify and (along with the help of the rest of Internet Money) probably has a lot more hits on his hands in the future. Fresh off tour with Yung Pinch we talked a lot about life on the road and also talked about his process for making music! Stay up to date with what I am doing! Follow me on... Instagram : https://www.instagram.com/kylegarvanbeats/ Twitter: https://twitter.com/KyleGarvanBeats Youtube: https://www.youtube.com/kgarvantv Follow Trevor Daniel https://soundcloud.com/iamtrevordaniel https://www.instagram.com/iamtrevordaniel/ Make sure to leave me 5 Stars if you haven't yet and let me know what you think! Thanks for the support. Aiming to put out another episode next Wednesday. Episode #18 of the Kyle Beats Podcast is a Q&A that I did on Instagram! I answered as many questions as possible and I like the way this one came out! I how you learn something or get something out of this! Stay up to date with what I am doing! Follow me on... Instagram - https://www.instagram.com/kylegarvanbeats/ Twitter - https://twitter.com/KyleGarvanBeats Youtube - https://www.youtube.com/kgarvantv ALSO make sure to leave me 5 Stars if you haven't yet and let me know what you think! Thanks for the support. Aiming to put out another episode next Wednesday.